Prior to Law School Sanah received a Bachelor of Commerce Degree, majoring in International Business, from MacEwan University. She was exposed to the practice of Law in the three years she worked part-time in a small law office, while completing her undergraduate studies. She decided to pursue a Law degree at Bond University in Gold Coast, Australia, where she earned a J.D. with second-class distinction. While in Law School Sanah volunteered as a Student Advisor with the Bond Commercial Law Clinic and competed in various extra-curricular competitions. 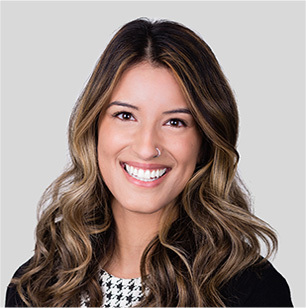 After returning to Canada, Sanah volunteered with the Edmonton Community Legal Centre before joining Brown Law Group to complete her Articles in Family Law. Sanah has travelled to 28 countries, including an international exchange in Brazil, and sees more travel in her future.